My oldest brother bought a peanut from Norway. He gave it to my father. The peanut is a dingy sailboat designed and built in Norway, using a factory that was once owned by the Nobel Dynamite company. When the factory shutdown it was thought to repurpose the facility, and retrain the workers to produce a reliable, all wood, sailing dingy. It had a unique rounded bow, a two part Gunter rig, and a back bench that doubled as a daggerboard keel. All you had to do was drop it in the slot and use the provided wedge to keep the keel down. The sail was nylon with a bright yellow peanut sewn 3/4 the way up. It was quite easy to sail singlehanded, there was no jib, no winches, and no spinnaker. You simply placed the ten foot mast in the hole in the bow’s front seat, threaded a line to the upper boom of the sail, and you hauled it up, the sail was cut so the boom would tilt at the top, providing another 5 fit to the 10 ft main mast. The lower boom was also wood, and the sail could be reefer to it so it reduced the amount of sail in a heavy wind. It was a tough boat, not terribly wet (the spray from sailing upwind), it literally rose up on the waves with the rounded now, and reached speeds of three vibrations. I have no idea how fast that was, but the centerboard vibrated when excellerating, if you kept excellerating it got quiet then vibrated again at a higher pitch. Several times I got to three vibrations when the boat was surfing downwind. I learned to sail on this boat with my Dad. He taught me everything he knew, which as it turned out, was only minutes before he taught me. I never knew about gybing, because our mast would likely snap under the stress, so it never occurred to us to try. One day, in a secluded cove on the San Francisco Bay, my father put me in the boat for a solo sail. It was very exciting and dramatic. On a starboard reach I tipped the boat over to sail on it’s side, as sailboats should. However, I panicked a little, and…wait, I panicked a lot, and held the line and the boom was almost centered to the boat. It just went over and I ended up standing on the inside wall of the hull, with the entire bottom of the boat flashing to my father on the shore. Before the water rushed in I eased the line, the boom slid out, spilling wind, and I was off like a shot. An hour later I came to shore and not much was said about tipping the boat over, it never really happened. I was ten years old. For the next eight years I sailed that boat in every lake in the Sierras that we came across. I fought thunderstorms and doldrums, I learned to read the water to find wind, and I learned patience when there wasn’t any. Several times I went on the Bay and once sailed it through the Golden Gate to the beach on the other side. Like I said, it was a tough boat. Today the America’s Cup was won by the Oracle Team in the most dramatic America’s Cup ever raced. It was amazing to watch. 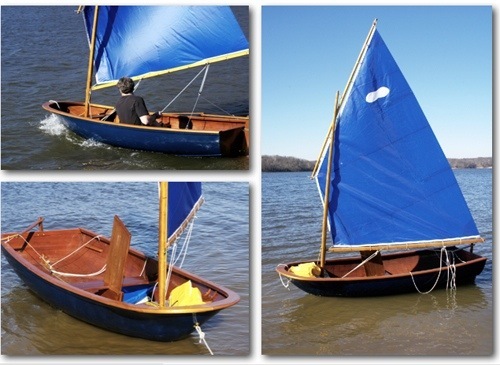 That little dingy experience, led me to buy a Cal 20 sailboat about ten years later. Sherry and I sailed it for about three years, then we bought a Yankee 30 sloop and sailed it for another eight years. It had thirteen bags of sails, and I used every one of them. I exchanged the Sierras for the Bay, and sailing for hiking. It was a wonderful time, my library expanded by about 150 books and I became very knowledgable in a field that I knew very little. I finally learned to gybe.